The "flash crash" in the bond market last October was historic, volatile and set off alarms across Wall Street. It also remains a mystery. Even the top federal agencies in the country couldn't find a clear-cut cause that triggered the whiplash in the U.S. Treasury bond market last October 15. The conclusion came from a report published Monday by five federal agencies, including the Federal Reserve and Securities and Exchange Commission. On that day, within a 12-minute time frame, the U.S. Treasury market plummeted 16 basis points (0.16%) and then just as quickly rose the exact same amount. In the bond world, that's a stomach-churning roller coaster ride. The inability to pinpoint a reason behind that move is especially unusual given the fact that every other big, similar Treasury market jump in a single day has followed a major policy or economic announcement. But last October, no major news came before the so-called flash crash. A rare event: The yield on the 10-year U.S. Treasury bond moved wildly that day. Such tumultuous movements are rare for safe bonds, such as those issued by the United States government. It was also alarming because the 10-year Treasury is the benchmark that sets interest rates on mortgages and other consumer borrowing. After a lot of volatility on that day, the yield ended the day essentially unchanged. It was like returning to the start line of the roller coaster. The Feds laid out the news events leading up to that day: The International Monetary Fund and World Bank had just lowered their expectations for global growth. A month earlier, the Federal Reserve's committee suggested that the U.S. economy was slowing down -- or at least investors perceived that to be the case. An hour before the flash crash, U.S. retail sales were released. But the numbers didn't miss expectations, meaning it wouldn't have generated a flash crash. The next 'time bomb'? : The mysterious flash crash re-ignited fears that there was a liquidity crisis in the bond markets. And some of Wall Street's biggest names argue that this lack of liquidity -- or cash -- in the U.S. bond market could cause the next financial crisis. Last October's flash crash wasn't the first in recent memory. The most famous one occurred in the stock market, when in in May 2010, the Dow lost 1,000 points before quickly recovering. And in 2013, the so-called "taper tantrum" unintentionally triggered by the Fed also caused chaos in bond markets. Liquidity is the lifeblood of financial markets. It measures how easy it is for investors to quickly sell stocks and bonds. When liquidity reaches low levels, traders cannot find either buyers or sellers and it can trigger panic among investors. "A liquidity drought can exacerbate, or even trigger, the next financial crisis," Stephen Schwarzman, CEO of Blackstone, wrote in an op-ed in The Wall Street Journal in June. Schwarzman and others criticize Dodd-Frank legislation that was implemented after the financial crisis. While Schwarzman said the laws have made the banking system stronger, it's also created unintended consequences. 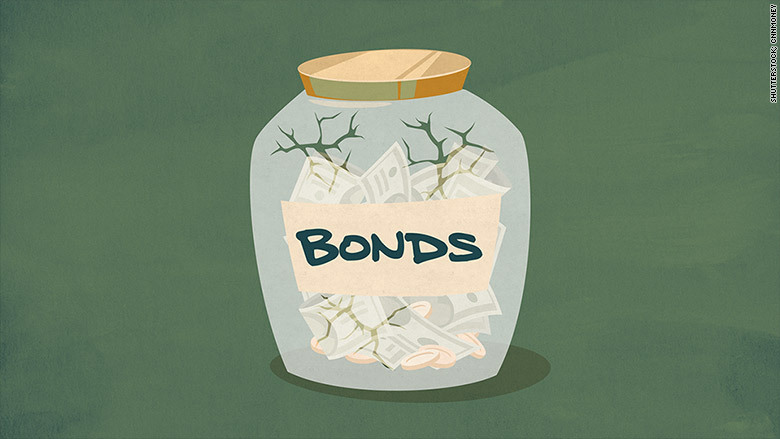 The new laws force banks to hold more cash or highly-liquid assets, like government bonds, as a way to weather a major trading loss. That means banks have less of an ability or sell their bonds during such times to help facilitate movement in the markets. And Nouriel Roubini, a professor at New York University, wrote in an op-ed in the Guardian that the lack of liquidity in bond markets was a "time bomb" brewing in the global markets.